We have a fantastic community of patients at Tinnitus Talk and an unparalleled global reach. We’re looking to partner up on research projects. We already have a few successful projects and surveys but we want to do more. 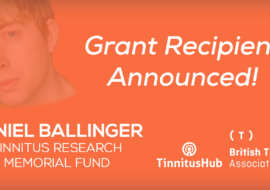 We have a large resource in Tinnitustalk.com that we believe can help researchers get some new insights into people with tinnitus. Tinnitus Talk features on page one of Google for nearly all tinnitus treatments, sending a diverse range of browsers our way. With the right project, something that the both we and the community can believe in and that genuinely helps to forward research and understanding, we can deliver responses. Our first large survey achieved over 2000 responses across 3 days, primarily from newsletter readers. We achieved an average 90 daily respondents through a simple pop up on Tinnitus Talk. In total there were 5017 responses in a few weeks. Our last project achieved over 6,000 responses in 3 weeks. 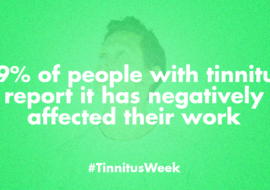 If we have a project that has a true benefit to tinnitus research and an outcome that can make a real difference to the individual we believe that can easily eclipse these numbers. One thing that both our users and we share in common is a strong desire for a cure. The patient population in general feels frustration and impatience; why isn’t there a cure, why don’t we understand more, why are we not hearing of breakthroughs and feeling hope, where is the funding? Our firm belief is that the involvement of the patients in seeding research, helping to further understand and test out theories, has a vital part to play. A real issue we have found with tinnitus patients is galvanising those with tinnitus into action. Through various schemes and plans it is plain that to play a part in a project, people need to really feel that what they are doing means something. Of course each project means something to the researcher, it has its importance and is performing a function that can be part of a greater whole. To the patient however this is not always clear. We want to be pivotal in helping patients to play their part in the search for a cure. 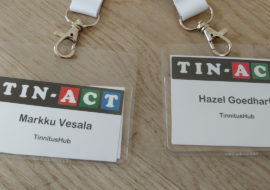 Tinnitus Hub wants to play an integral part in pushing the agenda for tinnitus and getting the condition taken seriously. We want to see more research and more attention. We have played a part in two EU funding bids, ESIT and TIN-ACT. Our reach and ability to disseminate research directly to the patient population was an influencing factor in the funding decisions. We have further helped projects to recruit subjects and are currently developing a private area to allow follow up qualitative research and patient influence in a key TINNET research project. Our survey results are available to all so that they can be analysed in far greater depth to look for patterns and assist research. Contact us to get your copy. The general population is far more educated in the internet age. The first thing that the majority of people do when they get tinnitus is to Google the condition. From here many turn to the current research and try to understand the mechanisms and potential treatments. We believe that people are mostly equipped to be able to understand the research, especially when presented in a plan-speaking format. Our aim is to make a connection between the patient and the researcher, harness the power of the internet and help the patient be a much larger part of the research process. In this we can also help researchers to seed projects and learn if their theories are able to be progressed.